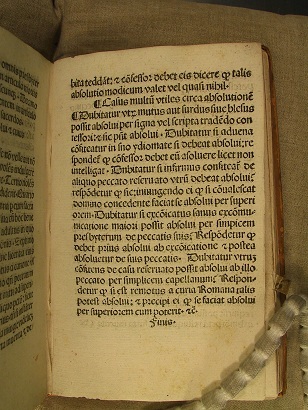 The publication of Paul Needham’s Index Possessorum Incunabulorum (IPI) in the online Provenance Research pages provided by the Consortium of European Research Libraries (CERL) is a most welcome addition to the useful provenance tools offered by CERL to bibliographers, librarians and cataloguers of early printed books. 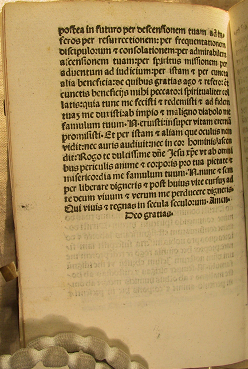 Three days after the announcement of its publication in December 2010, the Index allowed me to identify the hitherto anonymous owner of the Cambridge University Library copy of a collection of Pseudo-Augustinian sermons published in Cologne by Ulrich Zel around 1468-69 (ISTC ia01303000), Inc.5.A.4.1. 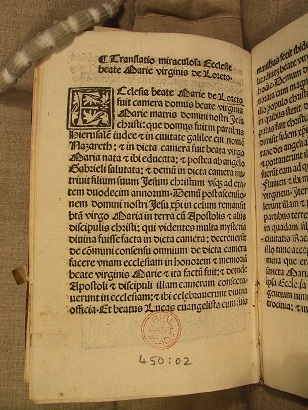 The front page of the book bears a stamp described as “two C’s addorsed and interlaced belneath a coronet” in the incunable catalogues of the Cambridge University Library (CUL), published by Oates in 1954, and of the Bodleian Library at Oxford, published in 2005. A similar description in IPI, “addorsed C’s below coronet of 7 points”, allowed me to identify the stamp in the CUL book with the one used for his collection by George Friedrich Creuzer (1771-1858), philologist and professor at Marburg and Heidelberg. 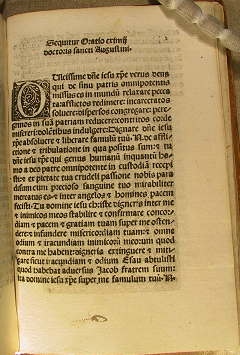 Consequently, we can now associate to the Creuzer’s collection four other CUL incunabula displaying the same stamp. They are as follows: 1. 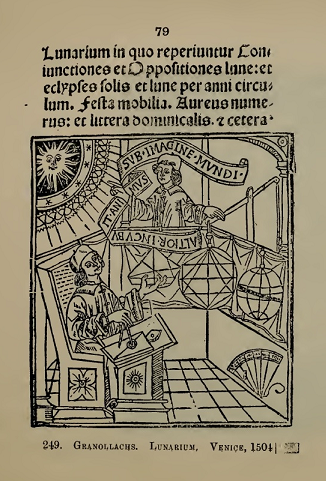 Jacobus [Palladinus] de Theramo. 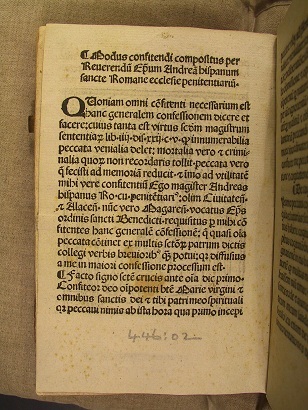 Consolatio peccatorum, seu Processus Belial. 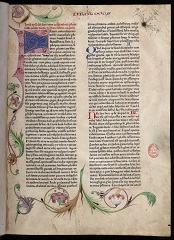 [Strassburg : Heinrich Knoblochtzer], 1484 (ISTC ij00070000), Inc.3.A.2.8; 2. 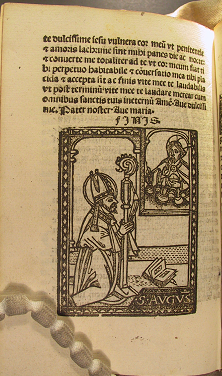 Pius II, Pont. Max. 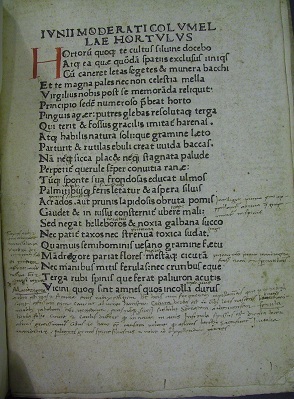 (formerly Aeneas Sylvius Piccolomini). Dialogus contra Bohemos atque Thaboritas de sacra communione corporis Christi. 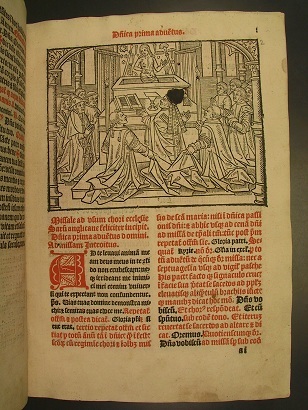 [Cologne: Ulrich Zel, not after 1472](ISTC ip00668000), Inc.5.A.4.1; 3. Jacobus Van Den Driesche [Dreische, or Driessen]. 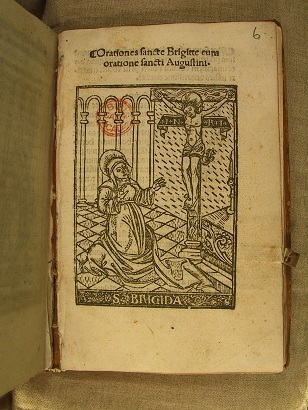 De indulgentiis et miraculis psalterium Virginis Mariae concernentibus, with Alexander Forliviensis. 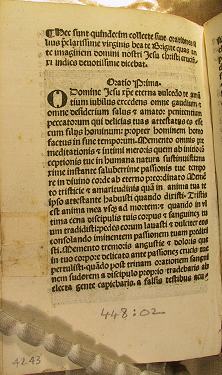 Copia bullae indulgentiarum de Rosario Mariae, and Sixtus IV. 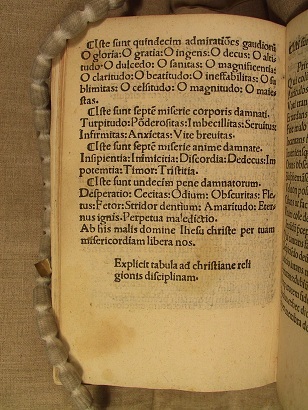 Copia probationis fraternitatis Mariae “Pastoris aeterni”. Cologne : Arnold Ther Hoernen, 12 November 1478 (ISTC id00366350), Inc.5.A.4.2; 4. 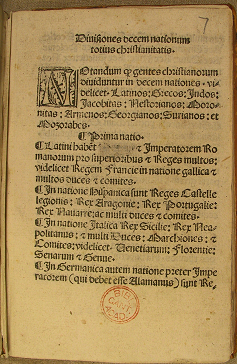 Dialogus inter clericum et militem super dignitate papali et regia. [Deventer : Richardus Pafraet], 31 January 1491 (ISTC id00153000), Inc.5.E.4.3. 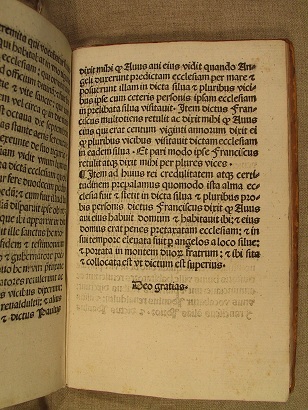 As a gesture of gratitude to both Paul Needham and CERL, I would like to share some new information regarding the former owner of another book in CUL, Inc.4.A.32.1. 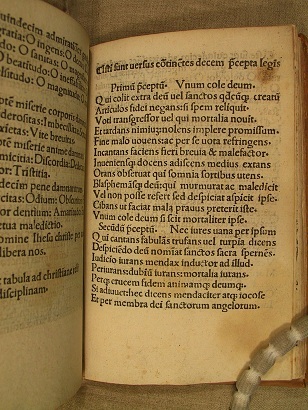 The volume is a sammelband and includes: a) Mensa philosophica. 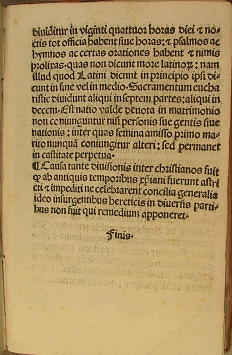 Heidelberg : [Heinrich Knoblochtzer] for Jakob Köbel, [after 28 March] 1489 (ISTC im00495000) – b) [Pseudo-] Seneca [i.e. Martinus de Braga]. 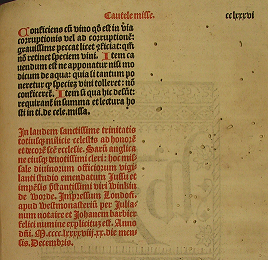 De quattuor virtutibus cardinalibus, sive De formula honestae vitae. [Speyer : Conrad Hist, ca. 1500] (ISTC is00423000) – c) [Pseudo-] Seneca. Proverbia. [Cologne : Cornelis de Zierikzee, ca. 1500] (ISTC is00404000). 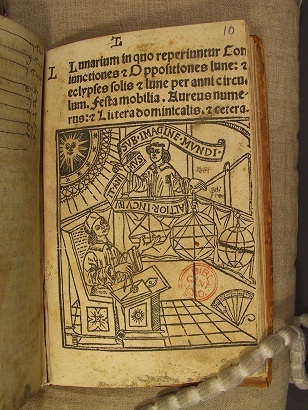 The title page of the Mensa philosophica, the first book in the volume, displays an ownership inscription, datable to the late 16th or early 17th century, that reads “Ioannes Rodolphus ab Erlach” followed by the words “Nasci Laborare Mori”. 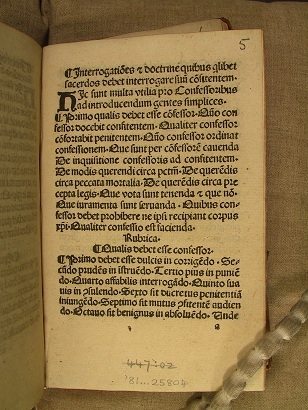 Through a quick Google search, I located an identical inscription in volumes 2 and 3 of a copy of Antonio de Guevara and Aegidius Albertinus, Der guldenen Sendtschreiben. Durch der. 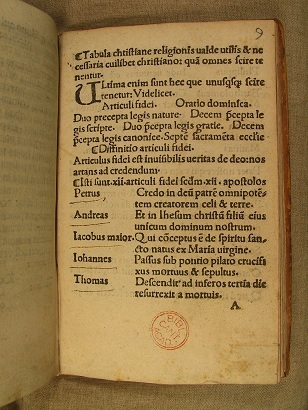 Hoffraths Secretarium Aegidium Albertinum, auss der Hispanischen in die Teutsche Sprach auffs fleissigst verwendt. 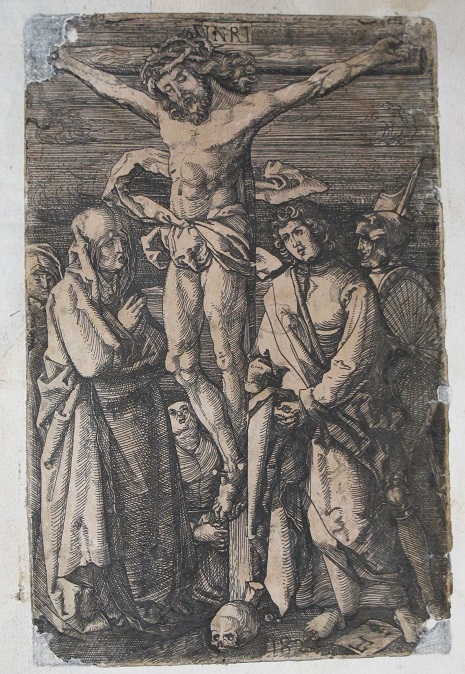 München : Adam Berg, 1599 (vol. 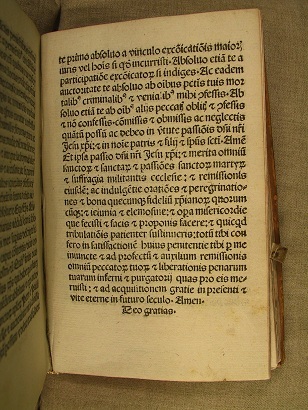 III), 1600 (vol. 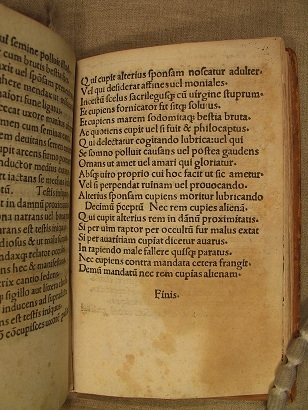 II) and 1607 (vol. 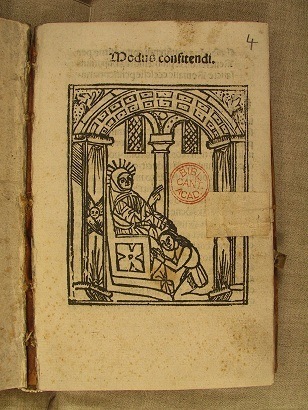 I), property of the Basel antiquarian booksellers Erasmushaus. 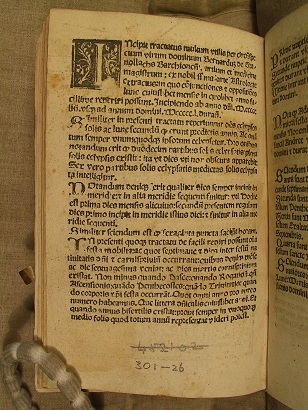 Timur Yueksel of the firm kindly informed me that the inscription in their book was indeed written by the same hand and that the motto “Nasci Laborare Mori” corresponds to the family motto of the von Erlachs, a prominent family of politicians, administrators and military commanders of Bern in Switzerland. 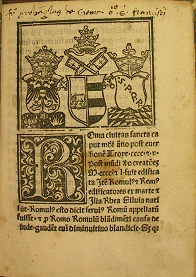 In the booksellers’s online description of Der guldenen Sendtschreiben, “Ioannes Rodolphus ab Erlach” is identified with Johann Rudolf von Erlach of Hindelbank (1585-1643), seigneur of Riggisberg, Rümlingen, Champvent and La Molte, bailiff of Verdon in 1624, member of the Parliament of Burgundy in 1633, and colonel of the Bernese regiment in the French army in 1635. According to the Dictionnaire historique et biographique de la Suisse, however, the owner of CUL and Erasmushaus books could be identified also with the representative of another branch of the family, i.e. Johann Rudolf von Erlach (1577-1628), bailiff of Moudon in 1604 (see Dictionnaire historique et biographique de la Suisse, vol. 3, Neuchatel, 1926, pp. 6, 7). CUL sammelband is bound in brown calfskin over pasteboards, with blind-tolled decoration. 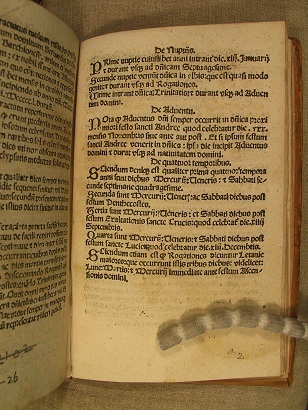 The binding is datable to the early 16th century and appears to be the first. The rather amateurish tooling creates a pattern of flourished arches interspersed with fleurs-de-lis in rhomboid frames, with a square strapwork stamp along the edges. 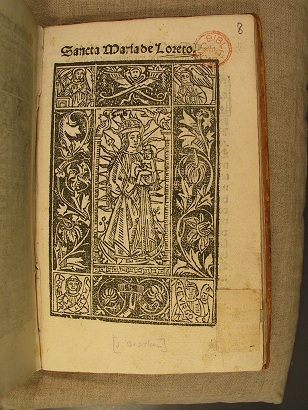 The decoration is identical on both the upper and the lower cover. 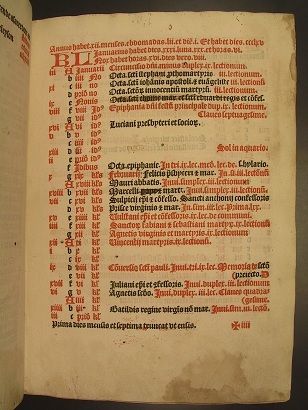 The comparison with other Bernese bindings published in Johann Lindt, Berner Einbände Buchbinder und Buchdrucker Beiträge zur Buchkunde 15. bis 19. Jahrhundert. 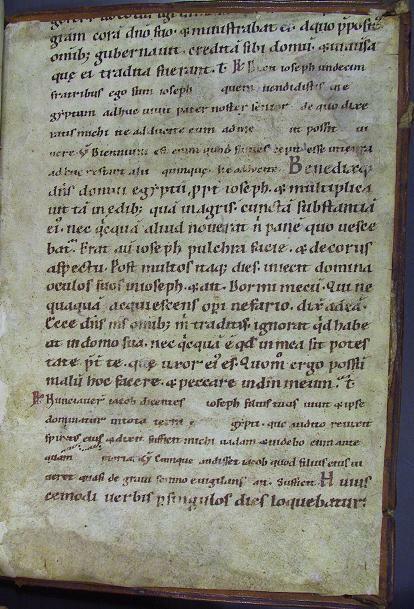 Bern : , suggests that the binding of the Cambridge sammelband could also be Suisse (possibly from Bern ?). There is another feature of the binding that could help us in the identification of its origin: the upper pastedown is a a parchment fragment from an 11th-century Breviary in Caroline script of northern origin (pasted up-side-down). 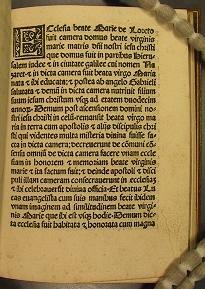 Its text corresponds to readings for the 3rd Sunday of Lent, as Giacomo Baroffio kindly informs me. 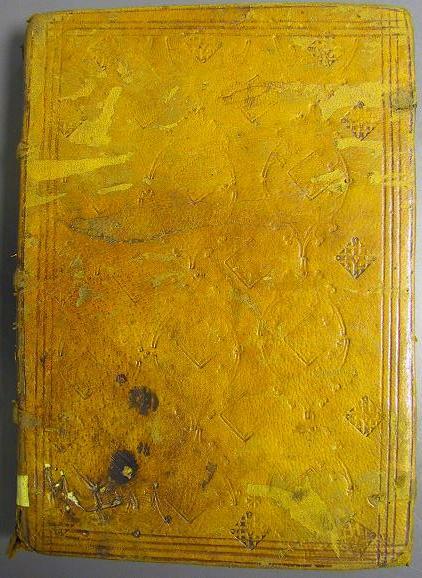 We would be grateful for information regarding other books with corresponding ownership inscriptions, bindings decorated with comparable tools, and fragments from a similar manuscript in Caroline script used as binder waste in early 16th-century bindings of Swiss origin. I wish to thank Dr Timur Yueksel of Erasmushaus, Dr Sabine Schlüter of Universitätsbibliothek Bern, Dr Anthony Hobson and Prof. Giacomo Baroffio for their kind assistance and suggestions.